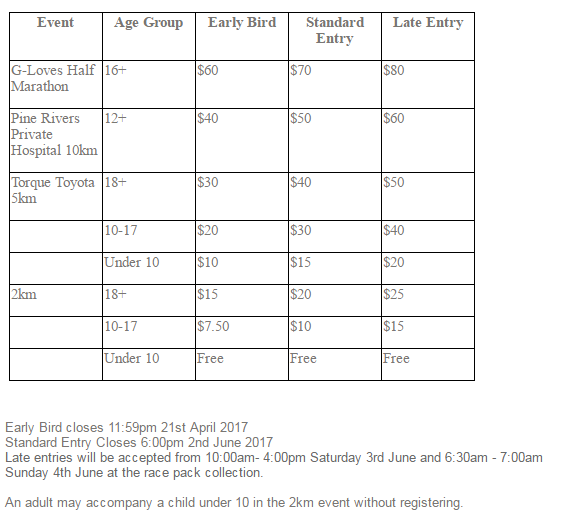 Pine Rivers Charity Fun Run 2017 | JustRunLah! The Pine Rivers Charity Fun Run is the major fundraising event for the Rotary Club of Pine Rivers Daybreak. The event has 4 distances, 21.1km, 10km, 5km and 2km around Bray Park and Lawnton. The event is a flat course for fast runners, but also tailored to families with children's divisions and free face painting.